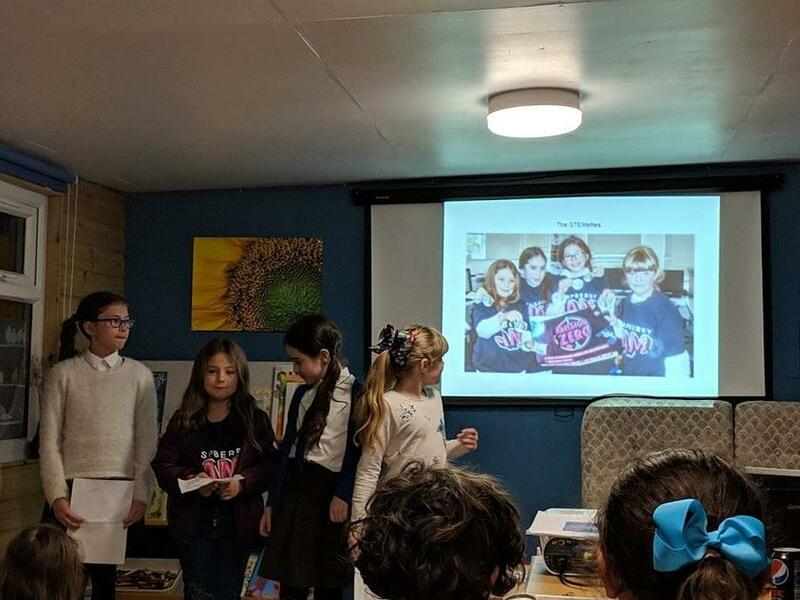 As part of the celebrations for International Women’s Day on 8th March 2019, the St Joseph’s STEMettes gave a trailblazing talk illustrating the point that women are at the forefront of exploring new horizons in space. The five girls, who are members of the St Joseph’s girls only science club, are working on a project to send a message to the two female astronauts in the International Space Station orbiting the Earth. The STEMettes spoke about the challenges of learning python coding in order to communicate with the astronauts by using Astro-Pi. The girls are aiming to send the astronauts a message and picture and have only a small thirty second window in which to do so. Undaunted, the girls have also been tasked with devising a way to record the temperature on board the space station. Communicating with Christina Koch and Anne McClain, the two female astronauts on board, is a thrilling project for the five girls in the Club whose enthusiasm and commitment to the project was transmitted to the assembled audience at the Monkton Observatory and was an inspiring way of celebrating International Womens’ Day.